The motorization of Japan proceeded at a rapid pace in the 1950s and 1960s. Daihatsu, which had been a three-wheel truck manufacturer converted itself into a passenger car manufacturer, collaborated on design with vignale of Italy, and took other measures to press forward with world class passenger car manufacturing. In 1963, the Daihatsu Sport, Created through collaboration with Vignale, was displayed at the Turin Motor Show. 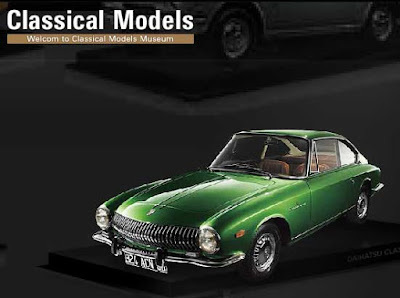 At the time, it was unusual for Japanese manufacturers to exhibit at overseas motor shows, but there was a strong desire in Daihatsu as well as Japan, which was entering the dawn of its automotive age, to make a stir in advanced automobile countries. In 2006, after having had several owners, this Daihatsu Sport was returned to Daihatsu in near perfect condition 43 years after the motor show. Daihatsu punya mobil sport juga ?? ?